President Donald Trump’s decision to recognize Jerusalem as Israel’s capital has caused much uproar in the Middle East and, indeed, around the world. The announcement negates decades of carefully weighed U.S. policy which argued that Jerusalem’s status was not yet settled and that its future will have to be resolved in final negotiations between Israel and the Palestinians. Nikki Haley, the U.S. ambassador to the United Nations, loathed world leaders for interfering in the domestic politics of the United States by impeding the will of the American people who, as she claimed, wanted the embassy move to proceed. Fiery and unambiguous as she was, she was still not telling the truth. Two polls taken before and after the U.N. vote show that over 60 percent of Americans oppose the embassy move. If Trump was hoping to make America’s reputation great again, he for sure suffered a major rejection by world leaders. The U.N. 128-9 vote declaring Trump’s decision “null and void’ is a serious blow to his world status and more so to the position of the United States as a leader of the free world. The U.N. vote is an assertion by the rest of the world of the applicability of international law and the rejection of poorly thought unilateral decisions, especially in such a hotly contested conflict between Israel and the Palestinians. The U.N. vote further reaffirmed its rejection of Israel’s claim to sovereignty over Jerusalem. Trump’s threatening to cut off U.S. aid to those countries that voted for the U.N. resolution is paradoxical. Here the United States is dictating to these sovereign nations how to behave irrespective of their own national interests and values, but cutting off aid would actually harm U.S. interests. The almost $40 billion in annual military and economic aid, after all, is spent to further American interests – not as an expression of our kind and generous hearts. More acutely, the great majority of the aid is returned to the U.S. economy, employing Americans and keeping U.S. factories open. The president’s decision, it now appears, was his own unilateral one. It was opposed by senior American foreign and national policy leaders. As expected, it was welcomed by those evangelical leaders who saw the move as hastening the end of the world, or Armageddon. More practically, it was lauded and propelled by donors well known for their Zionist zeal, such as casino tycoon Sheldon Adelson. While the call for the embassy relocation was part of a 1995 law, subsequent U.S. presidents found it unwise to carry out the move, noting the yet unresolved status of Jerusalem. Starting from the early 1970s, the pro-Israeli American Israel Public Affairs Committee (AIPAC) has vigorously lobbied Congress on the embassy issue. With the so-called 1988 Helms Amendment that eventually became part of the 1995 Jerusalem Embassy Relocation Act, the path was opened for two “diplomatic facilities,” one of which to be built in Jerusalem, which could be used as an embassy if the president so wished. What is overlooked has been the proposed embassy location. Palestinians have raised alarm that the United States was leasing a plot of land in West Jerusalem that was confiscated by Israel in 1948 and that some parts of the land were Islamic religious properties, or “waqf.” For the United States to build its Jerusalem embassy on confiscated refugee land creates repercussions that extend far beyond the physical site itself. Palestinian leadership has finally been convinced that the United States can no longer act as an honest broker between Israel and the Palestinians. The embassy move and the proposed location thereof, impinges on critical aspects of the final status of negotiations promised as part of the 1993 Oslo Accords, and Jerusalem is the most sensitive issue of all. 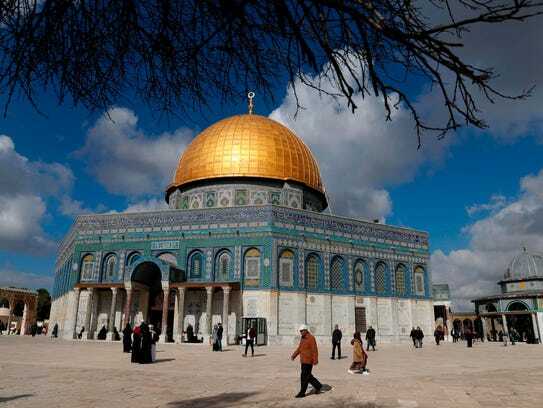 Consequently, the transfer of the embassy to what the Jerusalem Embassy Relocation Act calls “undivided” and “reunited” Jerusalem endorses Israeli sovereignty over West and East Jerusalem, which was occupied in 1967. It legitimizes the Jewish settlements Israel has built in and around Jerusalem and which were designed to render impossible any geographic contiguity of any future Palestinian state. It further endorses – and without an eye for possible compensation – the mass confiscation of Palestinian refugee property and belongings throughout Israel since 1948. Most significantly, it contributes to predetermining the size of a future Palestinian entity by implicitly endorsing Israel’s ever-expanding boundaries of Greater Jerusalem. For these reasons, the embassy move gravely undermines the integrity of the American role in the Middle East peace process, especially since it contradicts and repudiates the commitments and promises of all previous American administrations. Palestinians Muslims and Christians hold Jerusalem very dear to their hearts. No lasting peace can be achieved without East Jerusalem being the capital of Palestine. 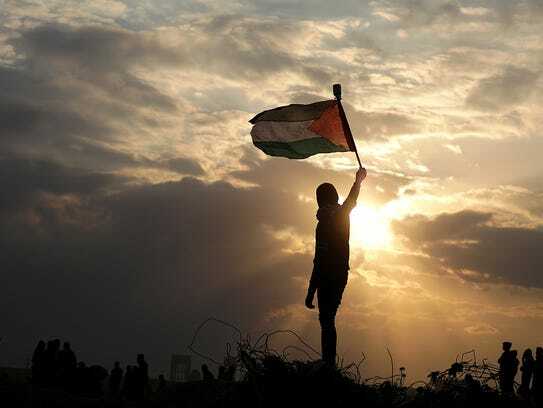 The United States has in effect buried any prospect for the two-state solution, long touted as the practical solution to the Palestine-Israeli conflict. Prospects for peace are further diminished and sabotaged. And the stability of the whole region hangs in the balance. Aref Assaf is the president of the Arab American Forum in Paterson.